Tammy Mader joined the Chicago Theatre Community a year after graduating from Point Park University with a BFA in Musical Theatre, and has been working on Chicagoland musicals in one capacity or another ever since. She’s switches job titles like hats, alternating between Actor, Dance Captain, Choreographer, Director and Teacher, and she’s just wild about her newest chapeau, Coordinator of The School at Porchlight. As an actor, she’s been nominated for multiple Joseph Jefferson Awards in a variety of categories including Principal Actress, Actress in a Supporting Role and Actor in a Review. She’s a four-time Joseph Jefferson Award recipient for Choreography with multiple nominations for Choreography and Directing. She’s held adjunct faculty positions at Columbia College and Roosevelt University, and is on faculty at Lou Conte Dance Studio, Actors’ Training Center, American Rhythm Center, and the School at Porchlight, home of her groundbreaking dance/acting hybrid class, Active 8s. Ariane has spent most of her dancing career in Chicago. She was a principal dancer with The Joseph Holmes Chicago Dance Theatre, and appeared as a Guest Artist with Momenta!, and Chicago Repertory Dance Ensemble. Since switching gears to become a Musical Theatre Performer she has appeared in more than sixty shows, including the “Dream Ballet” roles: Louise (Carousel) Jeanne (Brigadoon) Dream Laurie (Oklahoma) Lady in Green (Singin’ in the Rain) Tango Dancer (Evita), to name a few. As a freelance artist she works with Mystique Productions and the Galaxie Girls. She was Julia Stiles’ Ballet Double in the Paramount film Save the Last Dance. She has a BA in theatre from Roosevelt University and is on the Faculty of the Lou Conte Dance Studio. Ariane is a proud member of AEA, SAG/AFTRA, and AGMA, Unions that protect performing artists. Ms. Chen was born in Taipei, Taiwan and began her dance training in Chinese opera dance and ballet. After graduating with honors from an intensive dance program at Tainan Jounior College, Ms. Chen moved to the United States in 1993. Since then she has earned a BFA in Dance from Ohio State University and a two year scholarship in completing the graduate program from the dance department of the University of Illinois at Champaign-Urbana. Upon graduating, Ms. Chen danced professionally with Hedwig Dances from 1999-2007. She became the Artistic Associate for the company in 2002. She was hailed at her debut by the Chicago Sun-Times as a “dancer of tremendous authority.” Throughout her dance career, Ms. Chen had the opportunity to perform and create original dances with many of leading contemporary choreographers: Bill Young, Jan Erkert, Jawole Willa Jo Zollar, Renee Wadleigh, and Jan Bartoszek, to name a few. In 2003, Ms. Chen received the prestigious Chicago Dance Achievement Award and was honored by the Taiwanese Cultural Center for Outstanding Contribution that same year. Ms. Chen enjoys collaborating and performing with many international dance artists as well. The most recent were with Jin-Wen Yu and Chong-Fu Zhang, both former Cloud Gate Dance members of Taiwan, and with Maray Gutierrez and Victor Alexander from Cuba. Presently a faculty member of the Academy of Movement and Music in Oak Park and the resident dance company member of MOMENTA, Ms. Chen continues to perform, choreograph, and teach. She is thrilled to join the dance faculty of Loyola University Chicago. Dancing, the highest intelligence in the freest body. — Isadora Duncan. Jennifer Sprowl is a fourth generation Duncan Dancer who was a founding member of Lori Belilove & Company in New York City, training directly with Duncan Dance luminaries Lori Belilove, Hortense Kooluris, and Julia Levien. She has worked with the Rebecca Kelly Dance Company, Bill Evans, Eleanor King, and many other modern dance masters. Jennifer is certified as an Active Isolated Stretch practitioner based on the “Wharton” technique and in Shiatsu with the Ohashi Method. As the sole professional Duncan Dancer in the Chicago area, she has mounted several innovative stagings of the Duncan repertory for Momenta Dance in Oakpark, IL, and teaches the Duncan technique in the Chicago area including Joffery Ballet. Her uplifting, holistic approach to dance makes her classes and coaching in the Duncan technique a pure, authentic and powerful experience. 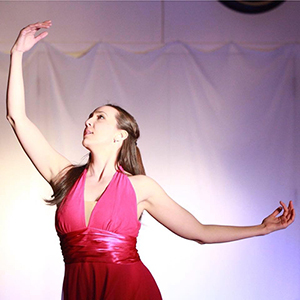 Angela D’Onofrio Littrell was trained in Elmhurst, IL at Dupage Dance Academy, where she is currently on staff as an instructor, as well as with Milwaukee Ballet School, Virginia School of the Arts, and on scholarship at Northern Illinois University. She is an accomplished dancer and teacher of ballet, jazz, contemporary, tap and classical modern dance who has taught hundreds of students of all ages the art of ballet at schools throughout the Chicagoland area. Angela uses energy, knowledge and humor to motivate her students to go beyond what they thought possible and to find small successes to celebrate in every class. She brings her love of the classics as well as her passion for dance history into the classroom as a teacher. Angela is passionate about giving her students the tools they need to become accomplished technicians as well as individual artists. Angela was the Assistant Ballet Mistress for Ballet North of Northbrook, IL where she staged and performed full-length classical ballets as well as choreographed contemporary works for the company. As a Principal Dancer with the company, she performed such classical roles as Myrta, Nikiya, Lilac Fairy, Mercedes, Gulnare as well as many others. Angela was the Founder and Director of m.c. squared dance company, in residence at Dupage Dance Academy. m.c. squared was a dance company dedicated to giving opportunities to dancers, choreographers and musicians to create and share their art. 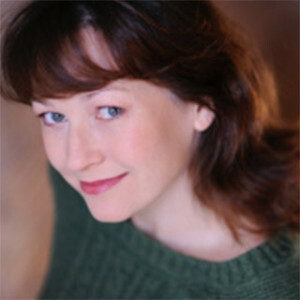 Angela has choreographed many original works for the company including Passage, a contemporary ballet set to Appalachian Mountain Music, The River to Smetena’s beautiful Moldau, The Ugly Duckling set to an original score composed for the company, and most recently Migration, a contemporary work following a young girl and boy through an apocalyptic journey set to the passionate music from the film The Last of the Mohican’s. She performed many classical and contemporary roles with the company including “Taglioni” in Pas de Quatre.